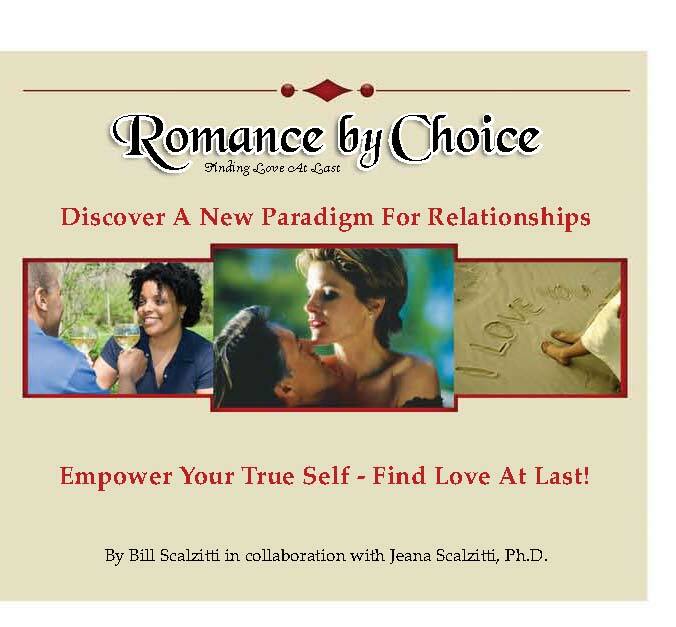 Introducing ROMANCE BY CHOICE, a unique Coaching Program and Audio-Book that bridges the gap between thinking about love and romance…to making it happen!!! Imagine knowing what you want and finding it. Imagine a relationship that makes you happy. Imagine a relationship that gets better each day. Imagine the possibilities of discovering a whole new you. Imagine someone loving you the way you choose to be loved. You will learn to redefine the meaning of you…Through our Audio-program, Workbook and Journal. You will discover your own identity… as opposed to the identity you’ve assumed to survive in your relationship world. You will learn to uncover the masks that have kept the real you buried and repeating the old habits that brought you to disappointment after disappointment. You will recognize the triggers that cause you to sabotage your own relationship success. You will discover how the word ‘choice’ is one of the most potent drivers that can lead you from being your own worst enemy to becoming your best friend.